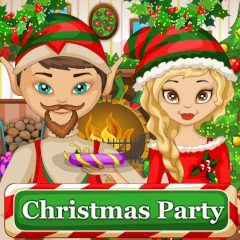 These two cute elves, a brother and a sister, are getting ready for a Christmas party. Christmas is a big holiday for the elves, moreover, after celebrating it on their own they will have to help Santa deliver the gifts to the children. Will you help them to choose appropriate clothes?